Printers haven't changed much, but the tech world around them sure has. People print less frequently, and they're just as likely to send a job from a smartphone or a tablet as they are from a traditional computer. Today's printers are keeping up as best they can, with mobile printing options and wireless connectivity, and a few models offer new technologies such as NFC (near-field communication). Before you shop for a printer, sort out who will be using it and for what purposes--and of course, how much you can spend--so you can find the best model for your needs. Who needs what kind of printer? Printer users generally fall into one of three categories. Home users can be individuals, families, or students. They may not print much, but what they do print could be anything from a homework assignment to photos to an art project. Typically they're looking for the versatility and lower purchase price of a color inkjet printer. Home-office and small-office users may print a little or a lot, but they're always seeking professional-quality output. Some of these people may think they need a laser printer, but in many cases a similarly priced color inkjet will be more capable and will likely have cheaper ink. Small workgroups in a business environment will require a workhorse printer that can juggle tasks and handle heavier demand. There's one supercharged inkjet from HP, the HP Officejet Pro 576dw, that can satisfy this crowd. Aside from that model, however, laser remains the best printer technology for this group. No matter what shape or size of printer you choose, these are the most important specs. Inkjet versus laser: While laser printers have tremendous cachet among office users, inkjets have a legacy of mediocrity to overcome. But today's inkjet printers are much, much better than their predecessors were, and good models are available for both home and office users. I especially encourage small-office and home-office users to consider an office inkjet over a cheap laser. For the same price, the inkjet will be better--faster, with more features and a lower cost per page. Multifunction models: It's hard to find a printer that just prints anymore--but why would you want one? A multifunction printer that includes a scanner makes it easy for you to create copies or digitize documents. Unless you're super-duper-sure that all you want to do is print, get a multifunction printer for the versatility. Connectivity: All printers can connect to a computer via USB, and office-oriented models have an ethernet port for wired networking. Wi-Fi is a must on almost any class of printer these days, for ease in a home setting but also for working with mobile devices in an office setting. Even if the printer is going to serve just one person in a home with no sharing, think twice before skipping Wi-Fi as a feature. Mobile printing: Even the most corporate-focused printers have capitulated to the demands of mobile devices and offered some way of letting them print. Look for apps that work with Android, iOS, and other mobile devices for direct printing, or seek out a way to print via email (such as HP's ePrint or Google's Cloud Print), or a third-party technology such as Apple's AirPrint. In addition, the relatively untried near-field communication technology has popped up in a few Brother and Samsung printers. Through NFC, you can pair a mobile device to a printer, then use an app to send the print job (using local Wi-Fi). Paper handling: The number of sheets your printer can take should exceed the number of pages you print per day--ideally by a lot, to minimize paper loading. A personal printer typically holds 100 to 150 sheets of paper in a single tray. Some models have a dedicated photo tray, which cuts down on paper swapping. A business printer can hold 250 sheets of paper at a minimum, but higher-end models typically accommodate 500 to 1000 pages in their standard or upgraded configurations. A busier office will want a printer that can support multiple paper trays. Duplexing: Two-sided printing, or duplexing, can cut your paper costs in half and spare some trees. Some printers offer manual duplexing, a mode that produces prompts telling you how to rotate and reload the paper to print the second side. This approach is better than nothing, but it's a hassle if you want to duplex all the time. Displays: Many personal printers and some business printers have small displays on their front control panels to aid you in selecting menu options or to communicate printer status. While the typical display may consist of one or two lines of character-based messages, higher-end and photo-oriented printers might have a full-color LCD, possibly with touch capability. In general, it's preferable to have any kind of display, rather than inscrutable, blinking lights. Read on for what to expect at different price points, and how to figure out whether a printer's ink or toner is too expensive. You know how much you have in your printer budget. Make sure it's enough--or find out whether you can spend less--with this rundown on what to expect in different price ranges. $40 to $80: Curb your expectations. You can buy a single-function inkjet printer in this price range, but it will most likely be a very slow model with bare-bones features (no control panel, skimpy paper handling). The inks will probably be expensive, to compensate for the rock-bottom hardware price. Watch out for tricolor cartridges, which unite the cyan, magenta, and yellow inks into one package--forcing you to replace all three inks when any single one runs out. $80 to $100: Basic functionality. 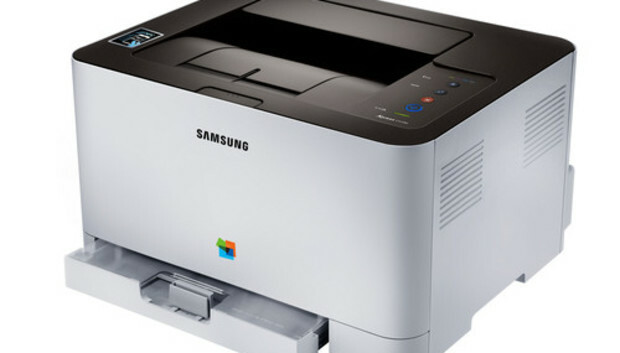 You can buy either a single-function inkjet printer or a low-end inkjet multifunction with basic features, or you can nab an extremely basic monochrome laser printer. Designed for single users, models in this segment offer modest speed and paper handling, but might sport a halfway decent control panel. The ink or toner will most likely be pricey. A few models might have separate ink cartridges for each color, or high-yield ink options, but you'll still have to watch out for printers that use tricolor cartridges. $150: Adequate or better. You'll start to see more models with automatic duplexing and high-yield ink options at this tier. Monochrome laser printers at this price remain basic, but they're a little better than the lowest-end versions. Printers in this price range might have adequate speed. Most should have Wi-Fi. $250: Midrange inkjets and monochrome lasers. At this point you'll find much better speed and paper handling, as well as more networking features and better control panels. Cool features could include touchscreens, color displays, and wide-format capability. A monochrome laser in this price range should have a 250-page input tray, making it useful in a group setting--though it will probably be slow. $400: The best inkjets and bare-bones color lasers. You'll enjoy a premium level of features and capabilities, including networking, a big color LCD, and innovations such as Web connectivity. Speed and print quality will be consistently good, and ink costs should be among the cheapest, with high-yield inks offering impressive savings in some cases. As for laser models, you can get a reasonably fast, networkable monochrome printer or a bare-bones color printer, but the toner costs are likely to be high. $500: Basic color lasers and better monochrome lasers. Graduate to the $500 range, and the lasers improve a lot. Speed and photo quality will still be limited, but you will at least get 250-sheet input trays, networkability, and good speed. Toner costs might still be on the pricey side. $700 to $800: The sweet spot for lasers. Models in this price range are designed for workgroups, with speed and paper handling to match. You're looking at specs such as installed and maximum RAM (to see how many jobs a printer can juggle), standard and optional paper trays (to determine how much the printer can grow to fit your needs), and monthly duty cycle (to get an idea of durability). Toner costs should be reasonable to cheap, possibly with high-yield options. $1000 or more: First class all the way. If you can afford to spend this much money on a printer, you expect--and deserve--the best, including fast performance, fine print quality, and a wide array of standard and optional features. Toner costs can be amazingly low, thanks to higher-capacity cartridges. Unless you're running a business with high-volume printing needs, you won't need to consider a model at this level. The money you pay for any printer doesn't stop with the hardware purchase; you also have to consider the ongoing costs for replacing the ink or toner supplies. For many inkjet printers, in particular, the cost of replacement cartridges can quickly outstrip the initial cost of the printer. Here's how we calculate the cost for our printer reviews. A little shopping: We get the current price of each cartridge from the printer vendor's own website. If the vendor doesn't sell the cartridges directly, we average the prices collected from three or more major online retailers. A little research: All inkjet printer vendors publish yield data for their ink cartridges--how many pages a cartridge can print before it runs dry. Most vendors' yields are based on an industry-standard measuring tool, a specific suite of documents printed at specific settings so that the results are comparable among different models. Finding the yields can sometimes require a bit of digging; feel free to explore, and don't hesitate to bug the vendor if you can't find the information. A little math: For each color, we divide the price of the cartridge by the page yield to get the cost per color per page. If a printer offers high-yield cartridges as well as standard-size versions, we gather the prices for both kinds of cartridges. The resulting costs per color per page give you an idea of how much the printer will cost you in ink or toner. It's important to note that your mileage may vary depending on what you actually print on a day-to-day basis, and how much you print. One more tip: Check the printer's "what's in the box" information to see whether you're getting full-size ink or toner cartridges, or lower-capacity, starter-size supplies. Many lower-end laser and LED printers start with lowball supplies, meaning they'll run out sooner. And a surprising counterpoint: If you don't print much, you could get away with a low-end printer with pricier inks, simply because you won't use it enough to make a big dent in your budget. But you'd better be sure that you're really not going to print much. We did the math to show who could go this route. I used to review some pretty bad printers. Now most of the printers I review are pretty good or even great, regardless of whether they're an inkjet or a laser. But it's still important to buy the right model for the user and the need, and it's especially important to determine whether the ink or toner costs are affordable. Shop smart, and you'll print smarter.